A military spokesman said 2,200 women from religious backgrounds currently serve in the army, up from 937 in 2010. JERUSALEM: An Israeli rabbi was fiercely criticised today for saying women who join the army come back as "non-Jews," in a controversy that coincided with International Women's Day. Ultra-conservative rabbi Yigal Levinstein, who heads a pre-military academy in the Eli settlement in the occupied West Bank, said in a lecture that women enter the army as Jews and come out non-Jews. "Who will marry them?" he asked. 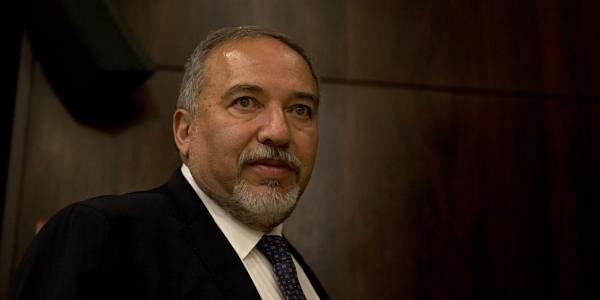 Defence Minister Avigdor Lieberman condemned the comments and urged Levinstein to consider his position. "Since the establishment of the state (of Israel), women have served in the army and have greatly contributed to the security of the country," said Lieberman. "Rabbi Levinstein's statements are not only an insult to Israelis, but also to the Israeli army, its heritage and all the fundamental values of the state of Israel," he said. Lieberman said he would "reconsider" the rabbi's role in preparing young men for military service. Military service is compulsory for both men and women in Israel, though ultra-Orthodox Jews, who make up about 10 per cent of the country's eight million citizens, are among those exempt. Military officials have been seeking to encourage the ultra-Orthodox to enlist. A military spokesman said 2,200 women from religious backgrounds currently serve in the army, up from 937 in 2010. The Israeli army infantry has four mixed battalions, he added. Prime Minister Benjamin Netanyahu made an indirect reference to the controversy on Wednesday, telling a parliamentary committee women played an "important role in defending the country's security," Israeli media reported. A fringe of ultra-conservative rabbis, members of the religious nationalist movement, hold a traditional view of the role of women, arguing they should be primarily concerned with caring for children and the home. They also believe women should respect Jewish conventions which demand they dress modestly -- skirts or long robes and long sleeves -- and behave with deference towards men. Levinstein was banned in 2016 from giving lectures on army bases after calling homosexuals "perverts".